Rosacea (said rose-ay-shah) is an inflammatory dermal disorder in which vessels in the face enlarge too quickly causing an overflow of blood. This can lead to ruddy patches and small red bumps on the nose, cheeks and chin. 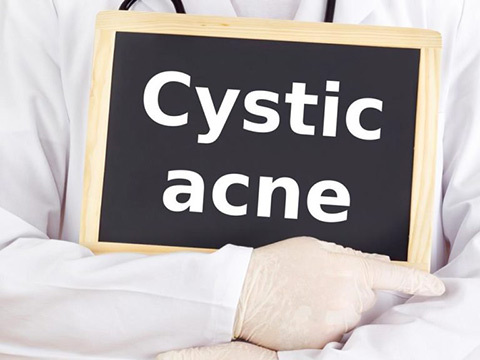 It has also been know to cause discomfort and swelling around the eyes, facial flushing, pimples and swollen bumps on the face. 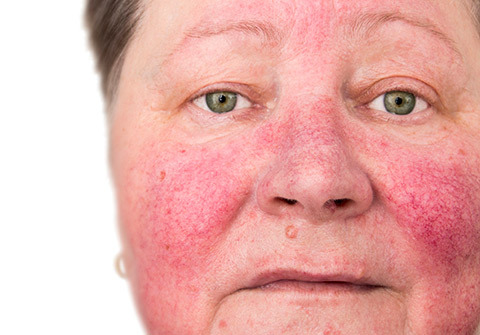 Rosacea is a plaguing, embarrassing disorder that most of the time affects the face, and it comes and goes in waves. The majority of the time it is noticed when the person is older than thirty, as flushed cheeks almost like sunburn, but it can also be on the nose, chin or forehead. Once in a great while it is found on the neck, chest, scalp or ears. 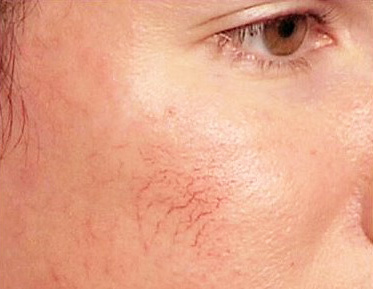 As time goes on the redness will turn into a muddy red which can get worse, and in the most extreme cases you will be able to see small wispy like veins. Without the proper medicine, tiny bumps will occur. 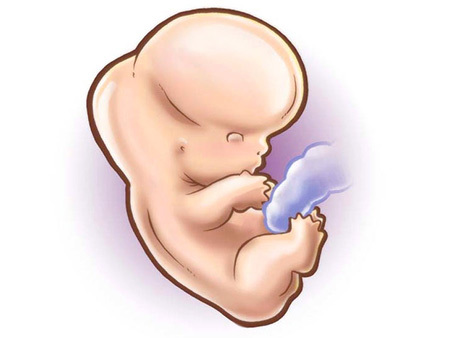 Factors, like extreme sunlight or alcohol, will open up blood vessels, causing irritation. For females, the most common place of appearance is on the cheeks, nose, chin, and forehead. The blotchiness can resemble a “heart” pattern across the cheeks and nose. For guys it mostly arises on the nose, but can show up on the neck and upper chest. Minute zits can appear in the reddish areas. These marks, circular humps on the first dermal layer are not the same as pimples like blackheads or whiteheads. These tiny, hair like, reddish marks are miniature vessels that resemble cob webs; you will see them the most in the cheek area. In the worst situations, which happen mainly to men, the nose swells enormously, and looks purplish red. The area will appear to be red, dry/itchy, painful, crusty, weeping, grainy, and enlarged around the eyelid. Contacts will irritate the area, and styes can appear. It can cause, eye site to be unclear, and also can be related to permanent vision damage. Around 50% of rosacea sufferers have eye related problems. Vitamin K lightens and heals bruises, lightning rosacea, clotting rips in blood vessels, and easing concentrated ruddiness on the face.